YaKorea Hostel Hongdae i Seoul, Sydkorea: Reservér nu! 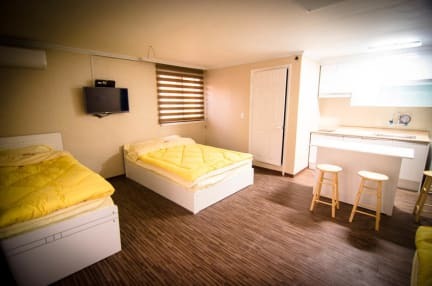 YaKorea Hostel Hongdae will offer you the chance to make unforgettable memories while you are here in Seoul. Equipped with more than you need. Based in the middle of Hongdae and Sinchon, you are in the heart of the fun. From the always kicking nightlife in Hongdae to the student area in Sinchon, you will never be short of clubs, restaurants and fun experiences. 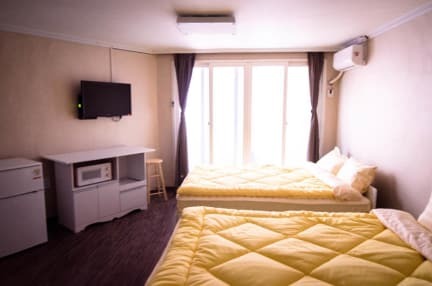 It is quite convenient from the subway station to here, also for anyone coming from the Airport by AREX or bus. This location offers you great accessibility and ease of location.